High performance – every business wants it, but getting there can be a challenge. This month, we focus on a few fundamental steps that can help to create a high-performance culture within your business. Whether you want to improve your construction company, your manufacturing conglomerate or your small business, following these steps will put your company on the road to significantly outperforming the competition. Company-wide commitment to these values must be demonstrated, from the CEO on down. Creating a sense purpose and history throughout your company will promote a community feel, leading to stronger employee engagement and a greater commitment to the company’s values. 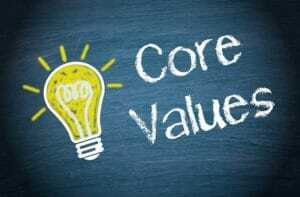 Establishing your company’s core values is only the first step. For your company to truly “live” these values will require change. Concentrate on a short list of no more than five areas of change will allow your team to focus on what’s most important to achieving the goal. Start with the basics. Agree on a shared direction, ensure information flows freely across silos and up and down the hierarchy, and develop a “can do” sense of personal accountability. This will encourage your people to take the initiative to make positive changes in the way they work. It can sometimes be difficult for staff to see the connection between cultural changes and their day-to-day business responsibilities. A merit-based performance management system is a great way to ensure alignment and drive employees toward improvement on all fronts. Aligning your values with strategic business initiatives will pave the way for faster, more effective change, higher performance, and positive business results. At C&D Logistics, we are constantly striving for a high-performance culture. It hasn’t always been easy, and it’s very much an ongoing process, but the rewards we’ve already seen – cultural and financial – have been well worth it. Ultimately, cultural change is a people-driven exercise; there is no substitute for strong leadership, solid values, and support systems such as collaboration tools and internal training.